It’s surprising to me that I haven’t shared Super Quick and Easy Olive Oil Biscuits before today. 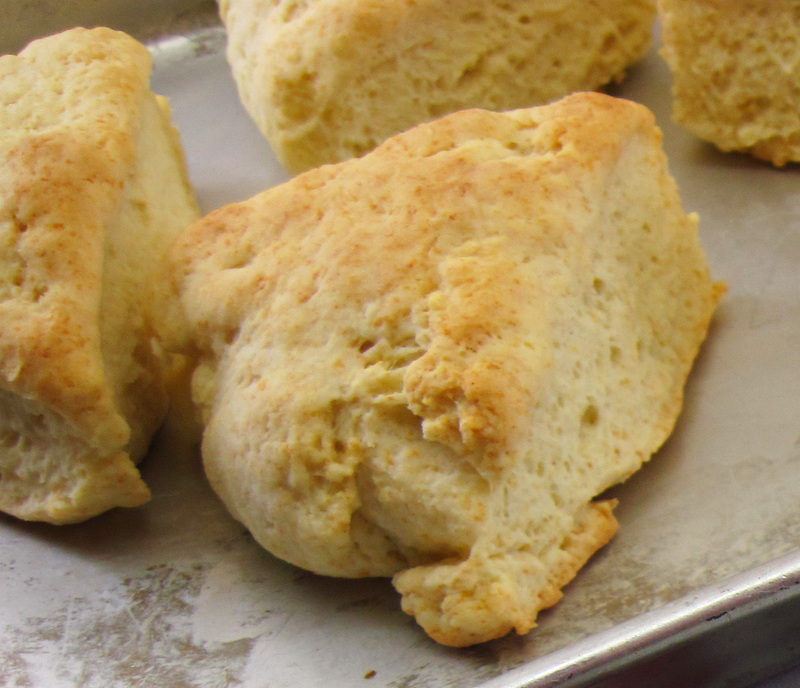 I made these biscuits fairly regularly when I was cooking for my family of four. There’s no reason not to make them now that I’m mostly cooking for two. It’s easy to cut the recipe in half for fewer servings. 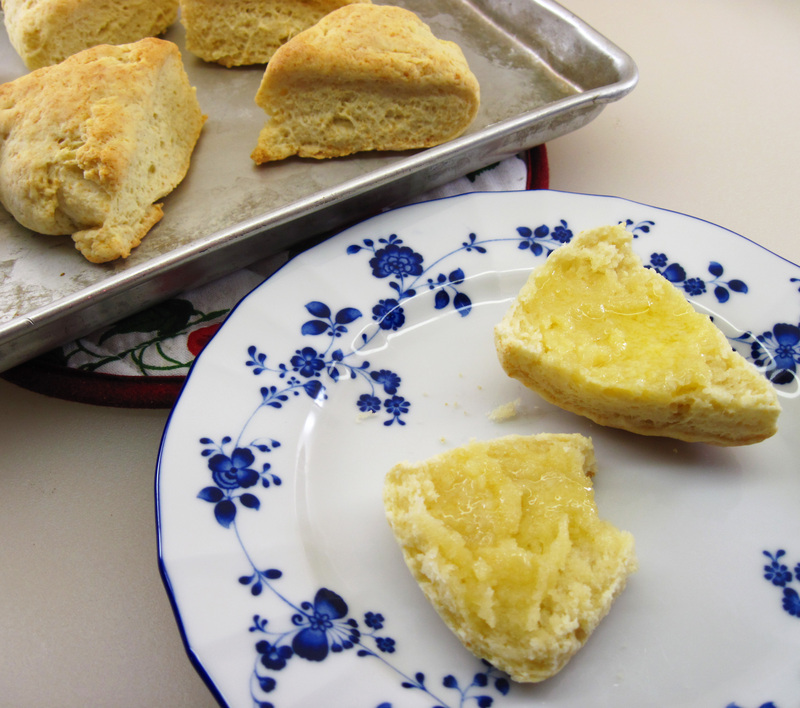 My recipe is adapted from the “Biscuits Supreme” recipe in the 1981 version of Better Homes and Gardens New Cook Book. It called for shortening; I can’t remember the last time I used shortening. Maybe I used shortening in this recipe back in the day. I know I came up with Super Quick and Easy Olive Oil Biscuits after seeing Rozanne Gold’s recipe for Olive Oil Biscuits in her Cooking 1-2-3. I loved the idea of using olive oil in biscuits. It’s certainly a healthier fat than shortening. 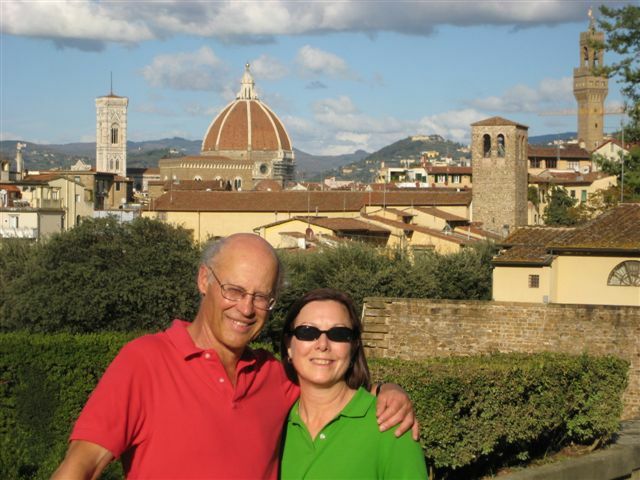 Rozanne’s recipe uses self-rising flour, milk and olive oil. Since I never have self-rising flour on hand, I decided to tweak the Better Homes and Gardens recipe. 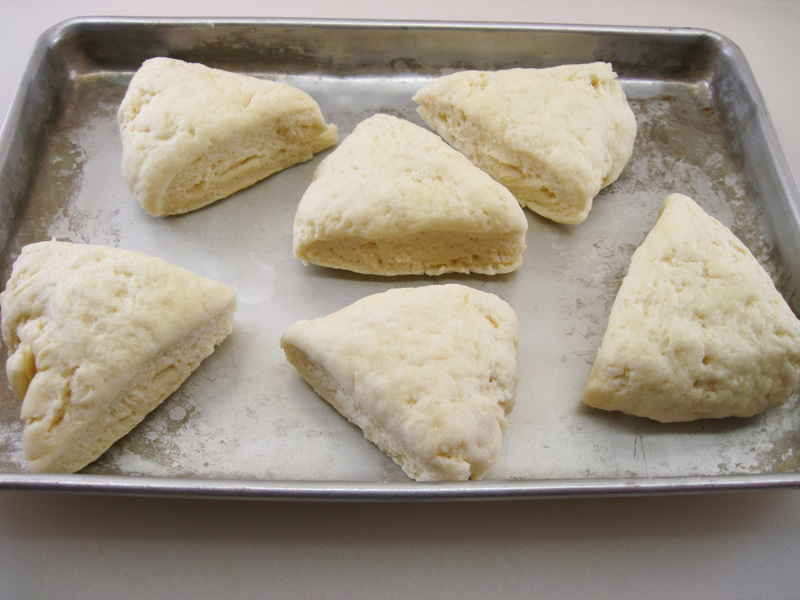 To make 10-12 biscuits, the recipe called for ½ cup shortening. I tried subbing ½ cup olive oil. The biscuits were way too oily. I cut back on the olive oil, and eventually settled on ¼ cup which gave the best results. Are these the world’s greatest “to die for” biscuits? No. I think you need to search for a recipe with copious amounts of butter and/or cream for that. But Super Quick and Easy Olive Oil Biscuits are very good indeed. My family has always eagerly gobbled them up whenever I have made them. 1. They are so quick, especially since I never bother to use a biscuit cutter. Over-handling the dough will produce tough biscuits, so I think it’s best just to cut the biscuits with a sharp knife. 2. I always have the ingredients on hand to make them at a moment’s notice. You don’t have to buy buttermilk. Or cream. You may have to add cream of tartar to your pantry, but once you have that you’re probably set. 3. Since they are made with a small amount of heart-healthy olive oil, I don’t feel so bad about slathering the biscuits with butter! The next time you’re making a soup or stew that just begs to have a bit of bread for an accompaniment, give these Super Quick and Easy Olive Oil Biscuits a try. I don’t think they’ll disappoint. They were perfect with last night’s Chicken and Rice Soup! Yes, I couldn’t resist taking a bite out of this biscuit! Note about cream of tartar – It’s in the Better Homes and Gardens recipe and I’ve always used it. Joy of Cooking recipes for biscuits don’t call for it; they just use baking powder. Perhaps it isn’t necessary, which would make this recipe even simpler. 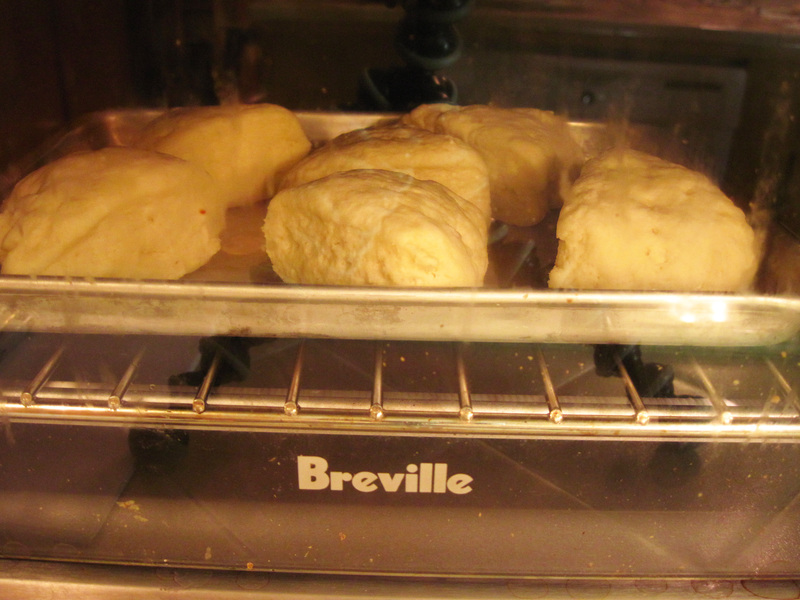 Update, 1/12/12: In the interest of science, I made the biscuits again without the cream of tartar. They were just okay. The ones made with cream of tartar had a much better texture; they were “softer” and more tender. 1. Preheat the oven to 450˚. 2. Stir the flour, baking powder, cream of tartar, and salt together in a medium bowl. 3. Pour the olive oil and milk into the dry ingredients and stir just until it comes together. 4. Put the dough on a lightly floured board and knead gently just 10 or 12 times. 5. 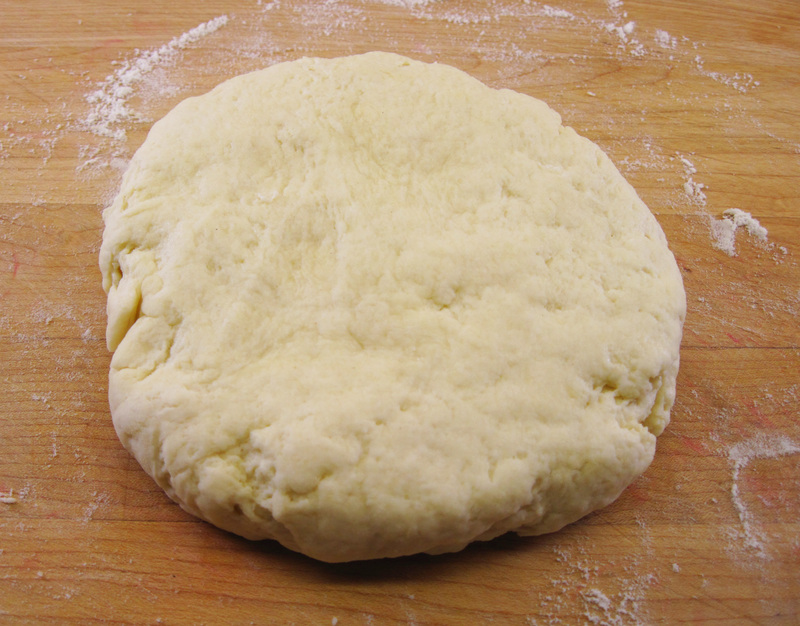 Form the dough into a ball, and then flatten it so it’s about ½ inch thick. 6. 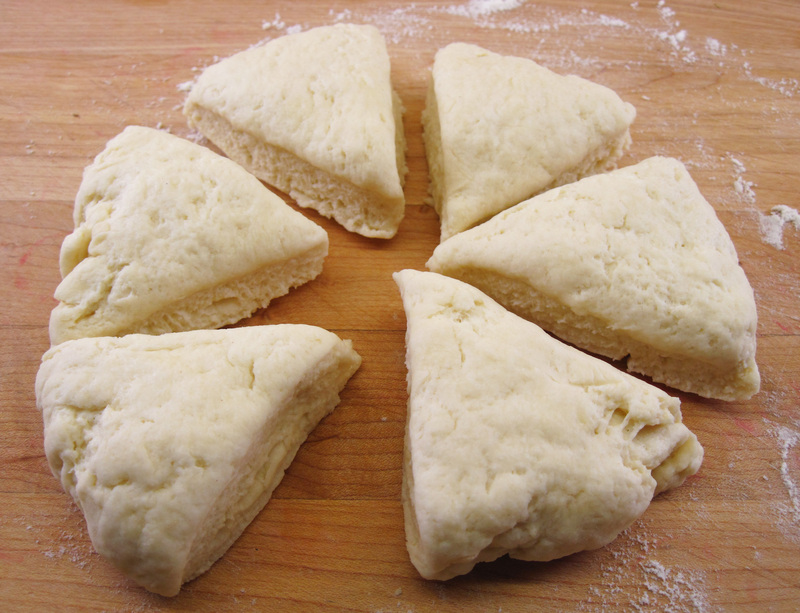 Using a sharp knife, cut the dough into 6 pieces. 8. Serve warm with good butter. I think I’ve read there’s a way to make homemade cream of tartar if you don’t have it on hand… Maybe was a tip on Smitten Kitchen? I’m not sure how to do that, Laura. I’ve had my little jar of McCormick Cream of Tartar for a long time. It has a pretty long shelf life, though I just looked and mine says “Best by Oct 22 12” so maybe I should replace mine. I just looked through Joy of Cooking biscuit recipes and none of them use cream of tartar. Maybe it’s not necessary? I made them again without the cream of tartar and they weren’t as good. Thanks, Patty! Yes, I really like Rozanne’s style, too. I’m sorry, Theresa, but I’m not sure how to do that. I just searched for your name and email in my list of email subscribers and it doesn’t come up. If you received this post in an email, there’s a link on the bottom to “Manage your subscription”. If you signed up to receive posts through an RSS reader, I believe you need to open your reader and click on In the kitchen with Kath to unsubscribe. Maybe someone who is more tech savvy than I will have another idea. Them seem came out from the oven of some Italian grandmother! Good!!! Have a nice weekend! Why, thank you, Cle! Hope you have a great weekend, too! I made these vegan with unsweetened soy milk and cocunut oil and they turned out good but I think they could be better. I also used whole wheat flour and added 2tsps vital wheat gluten. I also made them with olive oil but they weren’t as good, though I don’t think it had anything to do with using olive oil but something else must have went wrong. I will keep trying to improve on these and make them more flavorful. I’d also like to get a little more flakiness and layering but the dough is very finicky and almost any amount of kneading is too much. I think butter is the ingredient that makes biscuits flaky. I don’t know what you could use to get a flaky vegan biscuit. My olive oil biscuits aren’t flaky, but they are tasty! Well there is vegan margarine but I don’t want them to only be vegan but also not terribly bad for you. I think I may sub in Roasted Garlic Veganaise for the oil the next time I make them. That sounds quite delicious, Mark! Love that Breville oven, by the way. It really does come in handy for small jobs like this! I’ve had my Breville toaster oven for a little over a year and I just love it! I just made these into 8 pieces! They are so cute! My little girls are going to love them! i DON’T KNOW IF YOU HAVE HEARD OF BAKEWELL CREAM , BUT I USE IT INSTEAD OF BAKING POWDER OR SUBSTITUTE IT FOR CREAM OF TARTER. MAKES REALLY GOOD BISCCUITS, AND OLIVE OIL IS GREAT.THEY COME OUT SO TALL. MY DAD HAS BEEN USING BAKEWELL CREAM FOR 45 YEARS. THEY ARE SO TASTY.! 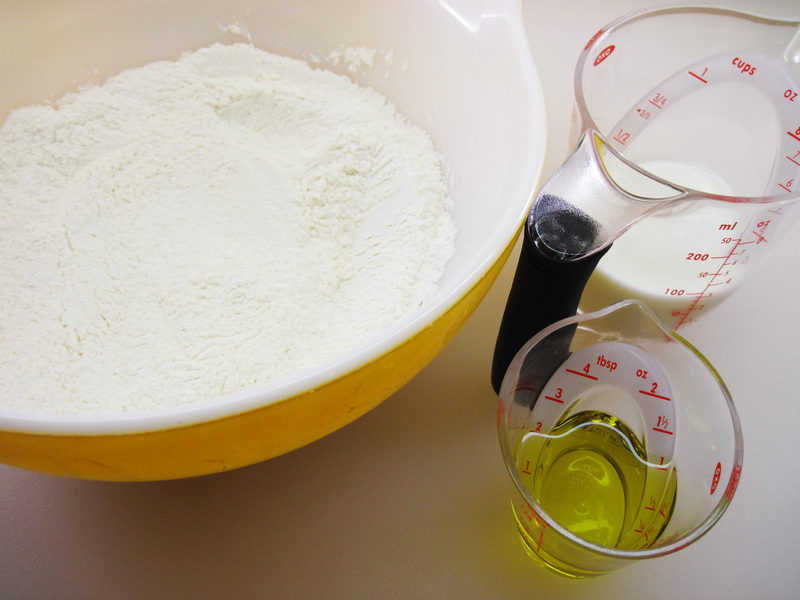 When using Baking Soda in recipes you need something acidic to make the soda work. If you use sour cream or buttermilk with baking soda this will do the job and cream of tarter is not needed. If you use baking powder the cream of tarter is already in in the powder. Cream if tarter is not needed. If you use baking soda with no acidic ingredient then cream tarter is the acidic ingredient. Without the acid the soda does not release the CO2 to cause the rising. Soda in a bottle with water nothing happens. Add cream of tarter and bubbles will happen. I found this link to an item on Wikipedia which clarifies this. That’s interesting, Phillip. Thanks for the info and the link. 1/3 cup milk was definitely not enough liquid. Sorry it didn’t work for you. It works perfectly for me every time. Biscuits should be on the dry side. If you add more liquid then they don’t roll out and bake correctly. You can always add a bit more milk and make drop biscuits. I just made a batch of these and they came out great! I used garlic/herb salt, lemon flavored olive oil, and almond milk. They are light, savory, and tender!!! I made a quad batch last night (for the first time). I followed the recipe except I missed adding the salt. 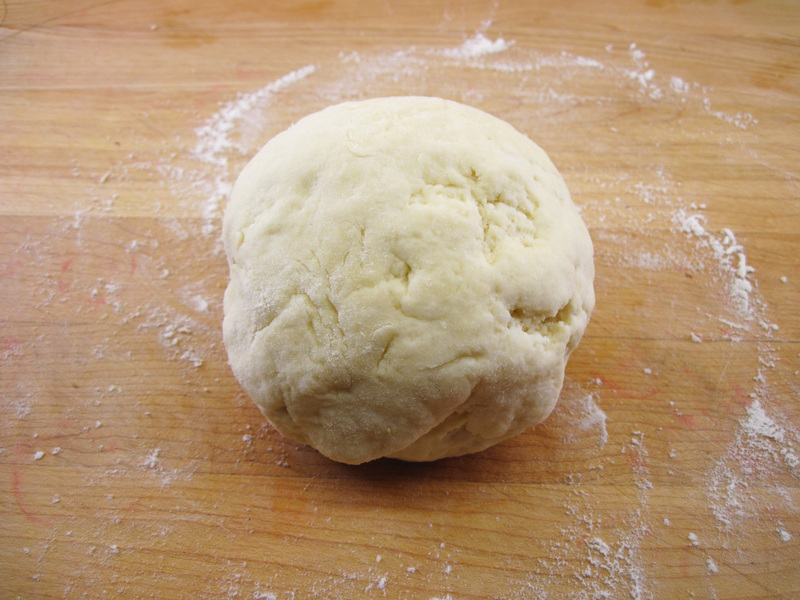 I barely kneaded – more like smooshed the dough into a ball. I split the dough in half and made two rounds for baking. My biscuits came out flaky and amazing. I don’t know what I did that was different than anyone else (except used soy milk instead of regular milk). I was so impressed. This is definitely replacing our former recipe. I meant 1/2 teaspoon of baking soda… I have made these twice now as the shortcake part of strawberry shortcake! Thanks for the clarification. You have me hungry for strawberry shortcake now! Thank you so much for sharing this biscuit recipe. My husband loves them so much that I have mason jars set up with the dry ingredients, so we can make them anytime time. Well, you just made a baker out of of me. *So* quick and easy to make these in the toaster oven to go with a soup or stew! I shake twice from my curry powder spice jar into the dry ingredients before mixing them, and sometimes a little pinch of powdered ginger, too. The curry and ginger additions sound very good! Thanks for your comment, Audrey. P.S. Your pictures are very helpful, thanks!